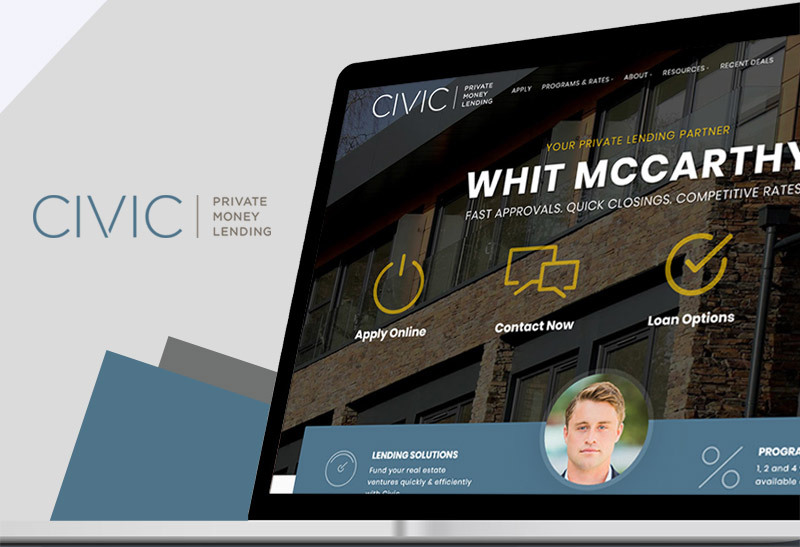 With a specialized set of market competitive products, Civic makes possible the ability to acquire multiple properties and gives investors leverage over their cash position. Civic is comprised of 50+ account executives and growing rapidly. They needed a technology solution for each account executive to have their own customized website complete with lending program information, contact information, digital application and lead form integration with their existing CRM, custom landing pages, social profile integrations and a personal blog, all to better serve their current and future clients. On top of that, they also wanted to provide multiple design options for their account executives as well as additional customization options for each of those designs and manage all of this in one dashboard with rapid deployment/updates possible by anyone, no web expertise required. No small task but nothing the Lenderd Platform can’t handle. We ended up deploying 3 unique designs, all interchangeable in seconds so account executives can change their look as often as they choose without sacrificing previous changes or customizations. All website information is managed centrally via the Lenderd Platform so Civic now has the power to deploy, update and even remove websites in near real-time saving them enormous management costs and still backed up by our Lenderd support team to use when needed, as needed. Each Account Executive now has a complete website, loaded with geo-targeted content making them relevant in local search, CRM integration and mapping on all lead forms and applications so all leads are managed centrally, an automated home valuation tool so users can get instant values on desired properties, personalized facebook business pages as well as social automation which means every time a blog is posted to the Account Executive’s website, it is also posted to their social media properties automagically, linking back to their website. The features listed above are only the tip of the iceberg and it only gets better from here for Civic as we continue to evolve with new customization options, designs, integrations and so much more. Not only is the future bright for Civic, it’s also scalable, secure, dynamic and positioned at the forefront of the industry. Ready to upgrade your marketing? Starts with a click.